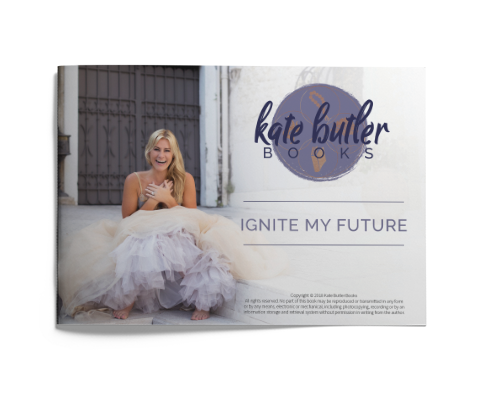 Kate Butler Books | Inspired Impact Publishing - Helping people shine their Core Brilliance into the world. HER TRANSFORMATIONAL WORK HELPS WOMEN ACCESS THEIR CORE BRILLIANCE AND USE IT TO IMPACT AND TRANSFORM THE WORLD. BREAK FREE FROM THE UNFULFILLED VERSION OF WHO YOU ARE TODAY. IT’S TIME TO ACTIVATE YOUR CORE BRILLIANCE TO MAKE THE IMPACT YOU WERE BORN TO MAKE! YOUR unique brilliance has the power to transform the world. But first, you have to see that it's all possible. Take the first step towards unleashing your core brilliance with Kate's Ignite My Future Protocol. Get yours free TODAY! I want to shine my brilliance! What I love about Kate’s Women Who Ignite movement is that it is a platform that allows others to live out their dream! One word that kept coming up for me during our conversation was authentic. In the coaching world, authenticity seems to be the buzz word of the day. But, Kate is the real deal. Her openness and willingness to share some of her struggles along with her successes is refreshing. Kate has a way of seeing your story + the way it can impact others immediately. Within one conversation you all of a sudden understand the common thread + why it needs to be shared. Going through the process of writing a chapter for Kate’s collaborative books was such a beautiful honor as Kate’s mission to ignite, inspire, influence + impact other women around the world is embodied through every women + story that is shared in these collections. It felt like the perfect process + stepping stone to sharing my message + story in bigger ways + on bigger stages, that I wasn’t quite ready for before. Thank you to Kate for truly SEEING what was always inside me + helping me articulate + share it with women who didn’t even know they needed it! 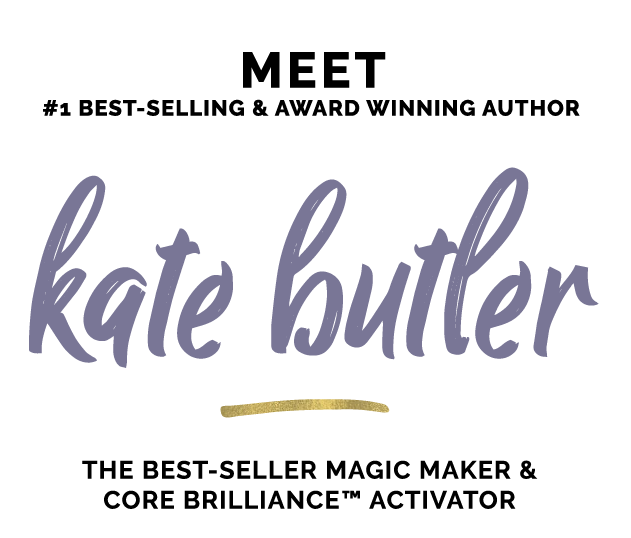 Kate Butler is one of the most authentic, honest, enthusiastic people I have had the pleasure of meeting. She has a genuine desire to help others create success in their lives and she is amazing at inspiring others to find their passion and live it. Everything she does, from her books, to her events, to her coaching, is done with class and finesse. Kate is one of those rare people who truly walks the talk. Listen to her. Follow her. Invest in everything she offers. I highly recommend her. For years I chased every possible avenue trying to feel fulfillment. But no matter how much time I worked, or how much of myself I poured in, something was always missing. It wasn’t until I tapped into my unique brilliance that I started to live a life of complete fulfillment and aligned abundance. Now my purpose is to help you access YOUR core brilliance so you can do the same.